For the Flint Tropics, this season has been filled with heartbreak and what could have been. Four of their five losses have been by three buckets or less. And their last two defeats have been by 2 points. Their gameplan coming into a tough matchup with the Tigers was clear; shut down Jermaine Jackson. And it was working, holding him scoreless in the first half, the Tropics went into the break with a 20-15 advantage. In the second half the perimeter defense of Andrey Bonelli was the story. 3 steals and 3 blocks to go along with his 9 rebounds and 12 points. The Tropics did not have an answer, the jumpers didn’t fall and they can only manage 15 second half points. 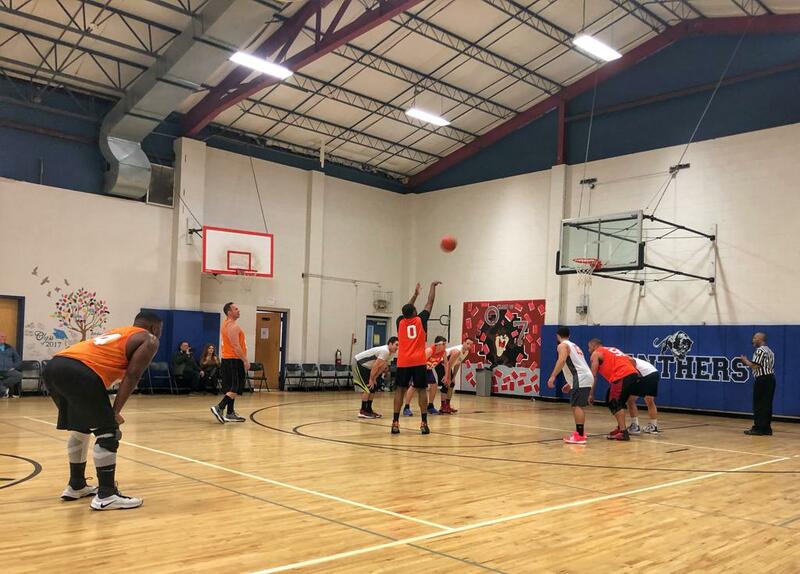 The 37-35 Tiger win helps them keep within striking distance of the undefeated View, who had a tough matchup with the Sonics in the evenings second game. The 2-2 SuperSonics have been riddled with injuries and have not hit their stride yet. Flashes of brilliance and moments of despair tell the story so far this season. A Sunday night meeting with The View would be their shot to get it going. True to form, the Sonics suffered another bit of bad luck when Center Jon Pelka had to come out of the game after only playing a couple minutes. The Sonics looked to their guards for help. Alex Levchenko dialed in the mid range jumper. He went for 20 points, 5 assists and 3 steals. It was not enough however, to slow down the View. They got double doubles out of Joe Ulinski (15 points, 14 reb) and Player of the Week, Mel Pitts, who took the game over scoring 19 of his game high 26 in the second half to go along with his 10 boards. The View will look to stay unbeaten when they hook up with the Flint Tropics. The Sonics will attempt to get back to .500 when they face off with Splash Bandicoot. Splash Bandicoot took care of business in the night cap. Shawn Lutz went for 20 as they handed the Scorpions a 63-55 loss. The Scorpions got 22 from Padraic Brady and 16 from Willy Hawthorne in what was without a doubt their best showing so far this season. The Scorpions will try to build off of that momentum when they lock horns with the Tigers Sunday night. As teams continue to tinker with lineups and rotations, it appears we are going to have an incredibly competitive fight to the finish. 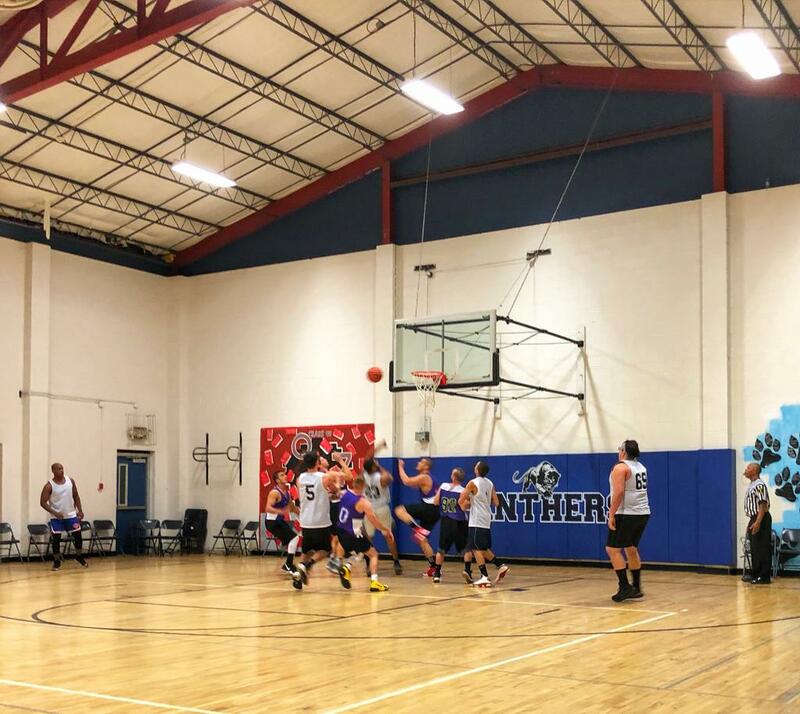 Spring League Update: Registration is now open! We are accepting Full Teams (min. 8, max 12 players) and Individual Free Agent signups. The Spring League will start in May, with games on Sundays and possibly Tuesday nights on occasion. Currently on top of the leaderboard in scoring is Padraic Brady, averaging nearly 30 ppg. The top rebounder is Doug Boor at 10.7 rpg.